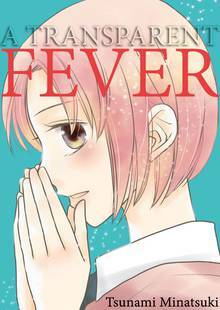 [Free Books] A Transparent Fever｜MANGA.CLUB｜Read Free Official Manga Online! "When you like that special someone so much that you can hardly stand it..."
I love this manga. It was awesome because she didn't know what the feeling of love was like and yet she was feeling it all along! The misunderstandings, of course, are really annoying but the two love each other so that's what matters. It was so cute seeing how they both reacted to holding hands and during the date; even when they were socializing with each other was really cute. Overall, awesome read, cute characters and an adorable manga!! !